This might be the most clever idea for organizing little girls hairbows I have ever seen. This kite bow organizer makes each hair bow a bow on the kit tail. How cute would this look in your little girls room or bathroom. I see a kite themed bathroom in our future. 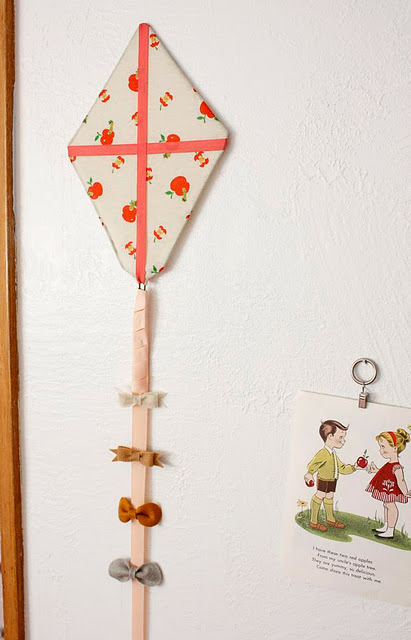 You can check out the tutorial on how to make a kite bow organizer over at Ruffles and Stuff.